AGM Minutes, Committee Changes, New Jerseys and New Events! Although the committee was uncontested at the AGM Adrian expressed a desire to leave his position. The committee was contacted after the event by Jamie Sharp who was voted in by the committee without opposition. We like to thank Adrian for his time on the committee, and his help over the past 2 years with the club, and wish him the best in the future. Welcome Jamie, we hope you enjoy your time with us! Our new run of jerseys have arrived, we have a full run of sizes from Small to XXL (Yes, it’s an Australian XXL). If you are interested in purchasing one to show your support of the club let us know and we will get it delivered to you. We should have stock available for trying sizes and collection at the upcoming Sunday Spin and Working bee. This entry was posted in Uncategorized on October 12, 2018 by plentygorgemtb. WE NEED YOU to PICK OUR PROJECT and VOTE FOR US to formalise the MTB trail network in Plenty Gorge Park (Yellow Gum area)! The Plenty Gorge MTB club has been working with Parks Victoria (landholder) to change this over the past few years and we are now at the stage have an APPROVED but UNFUNDED project to formalise some of the trail network in the Yellow Gum area. Refer to the Plenty Gorge Park Master Plan. Thank you for all those that provided their feedback to the master plan. WE NEED YOUR HELP! Read on for how you can continue to help turn this into a reality. The PGMTB club submitted a funding application to the Victoria government initiative called Pick My Project in order to fund this project. We are excited and please to announce that our application was successfully approved to the “voting” stage of the process! So it’s now all up to you – the ball is in YOUR HANDS. As the community of the Metropolitan Melbourne region, you get to have your vote as to which project gets funded. 4. TELL YOUR FAMILY, FRIENDS, WORK & STRANGERS AND SHARE! 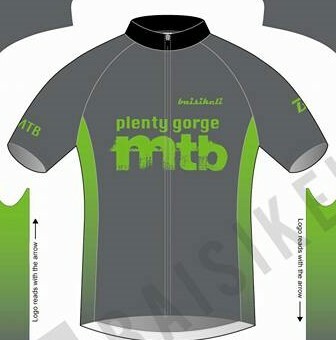 From all the committee and members of the Plenty Gorge MTB Club, we say THANK YOU! * Important: If you cannot add our project due to being “Outside your area”, it is because your selected local community is located too far away from Yellow Gum (Plenty, 3090). You will need to re-select your local community to somewhere closer to Plenty VIC 3090. This entry was posted in Uncategorized on August 15, 2018 by plentygorgemtb. We managed to fill a lot of ruts along the trails, improving erosion issues and rider safety, and rebuild a couple water bars and a general touch up to the trails. We’ve also got lots of thanks for the team at Parks Vic and Level Crossing Removals Authority for helping with providing the soil for our works. This entry was posted in Uncategorized on July 15, 2018 by plentygorgemtb.